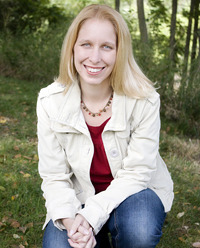 To ask Jenny Lundquist questions, please sign up. So i just finished reading "The Opal Crown" and was curious if there was going to be another one. The way it left off, im hoping for at least one more? Hi, Jenny I'm 11 years old and I'm doing a book talk on one of your books called "Seeing Cinderella". I had so much fun reading this book but I was wondering a few things. What was the inspiration behind this book. I was also wondering if this is a true story. I would also love to know a little more about you? Thanks, Marianna! I am so sorry for not seeing this sooner! I sincerely apologize if you already had to turn in your project without my responses. Seeing Cinderella isn't a true story; but the inspiration for the book came from something really embarrassing that happened to me in seventh grade. A boy I liked licked his fingers and then ran them down the lenses of my glasses. I was really shy in middle school so this mortified me. Years later when I was an adult, I made light of it while I was telling the story and said something like, "My glasses had magic powers. They repelled boys." Then the writer in me thought: "But what if my glasses DID have magic powers?" Wondering this eventually led me to develop the book that became Seeing Cinderella. 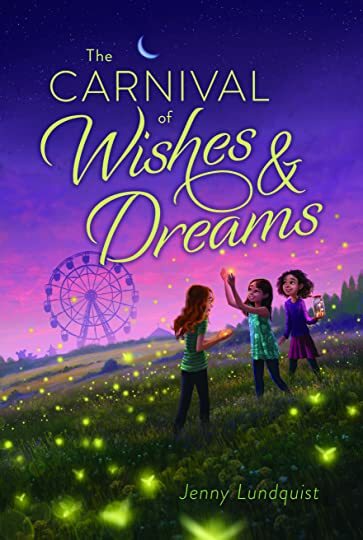 You are cordially invited to the launch party for The Carnival of Wishes and Dreams! Heartfelt and humorous, this book is amazing. I had the pleasure of reading an early draft of this, and I plan to read it again. Europe, the holidays, and a scavenger hunt, it's the perfect book for snuggling up with a cup of hot chocolate! We’d love your help. Let us know what’s wrong with this preview of Becoming Bonnie by Jenni L. Walsh.